Thank you very much for your honest advise, availability and taking my calls outside business hours. Its no easy task buying a house. It is very stressful and hard to know who to turn to for good honest advise, particularly when hundreds and thousands of dollars are involved. Your advise and inspection have helped me to determine whether my purchase has been build reasonably well or is a “lemon”. And whether this is or is not a good investment. Your advise has helped put my mind at rest. I have confidence in your advise as you conducted yourself in a professional calm manner. You are very approachable, easy to talk to, a good listener, patient and good humoured (reflected by my mistake of sending you to the wrong address number). Buying a house is not easy, even more so when one is not in the building industry and has very little understanding about building construction. I have had bad experiences with tradies and I have heard many horrors stories about builders and their workmanship. So you may understand my extra precautions. 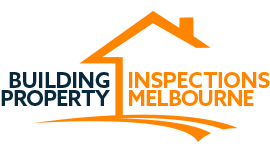 I would highly recommend you to any one needing a building inspector.